On May 22, Xiaomi Launched it’s next-generation Mi Router 4 in China Priced at 199 Yuan (Approx: Rs. 2,122 INR). Much like the Mi Router 3 the Mi Router 4 comes with High-Gain Omnidirectional 4 Antennas. The Mi router 4 comes with 128MB of RAM and 128GB of flash storage. The router also packs and upgraded MT7621A chipset which can provide connectivity to up to 128 devices. With new MT7621A chipset and an 88anMHz processor, the router is said to provide faster and more stable internet speed across all running devices, which also includes faster photo transmission, smoother movie playback etc. Talking about the ports, the Mi Router 4 has one WAN port and two LAN ports on the back. On the top side, there’s Mi branding in the center and blue LED lights for indicating connectivity. We are expecting the router to have a USB port just like its predecessor, but it isn’t confirmed yet. The Mi Router features Gigabit WAN/LAN+2.4G/5G dual-band Wi-Fi and also comes with one touch MiNET button allowing users to quickly connect their smart devices to the router just by pressing the MiNET button and there is no need to enter any key or password. 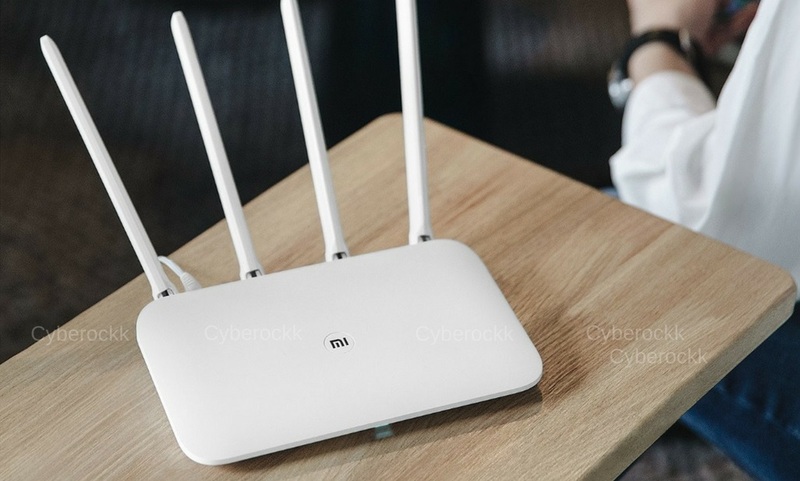 The Mi Router also comes with WPA-PSK/WPA2-PSK encryption to make sure you get a secure connection while accessing the WiFi across all your devices. The Xiaomi Mi Router 4 is priced at 199 Yuan (approximately Rs. 2,122). The router will go on sale in China from 25th May through Xiaomi Mall, Youpin, Tmall, Jingdong, and Suning. Further, the devices will be available to purchase from Mi Home Stores as well.